“I put it in a letter, what could be better? Once the Harpeth Hills Flying Monkey Marathon became popular the race director moved to a lottery format to chose the stupid lucky participants. The selection involves a weighted randomization scheme and while I don’t know how the criteria is weighted, my belief that Question 8 has the “X-factor”. 8. Share with us any special information we should consider with your application to the race. Please understand that we are likely to read this with much scorn and ridicule. 140 character max! I was happy when the email arrived that I was selected! Out of the 354 runners selected, I was in the group of 13 who had completed The Monkey 5 times. In attempt to be kind to my Lovely and Talented Wife, Jen, I secured transportation to Race Start. I was appreciative that Danny Staggs agreed to pick me up and take me to the Race. 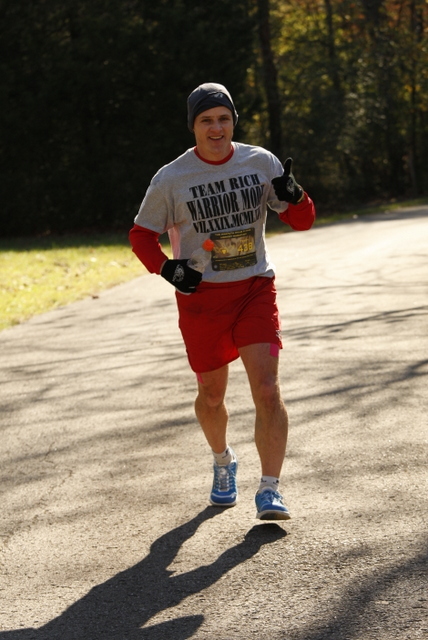 The Staggs Family of Running is comprised of Danny, his wife Sandy, and their daughter Amanda. There are 2 things about The Staggs: 1) The 3 of them run a lot of the same races regardless of distance, sometimes they run together and 2) They are super-friendly (they know everybody) and always seem to be smiling (it must be their favorite). It was cold but not terribly cold for packet pick-up. Inside this year’s packet was a FMM Magnet, FMM Sticker, FMM Tatoo, Runner-specific long-sleeved shirt, short-sleeved shirt, running bib & chip, and some promo items. One of the awesome things about The Monkey, is the Runner-specific shirt. Not only does it have the runner’s name on the front, but it also has badges on the sleeve to show how many Monkeys the runner has completed (aka Monkey Kills). It’s just like how fighter pilots mark how many planes they shot down. 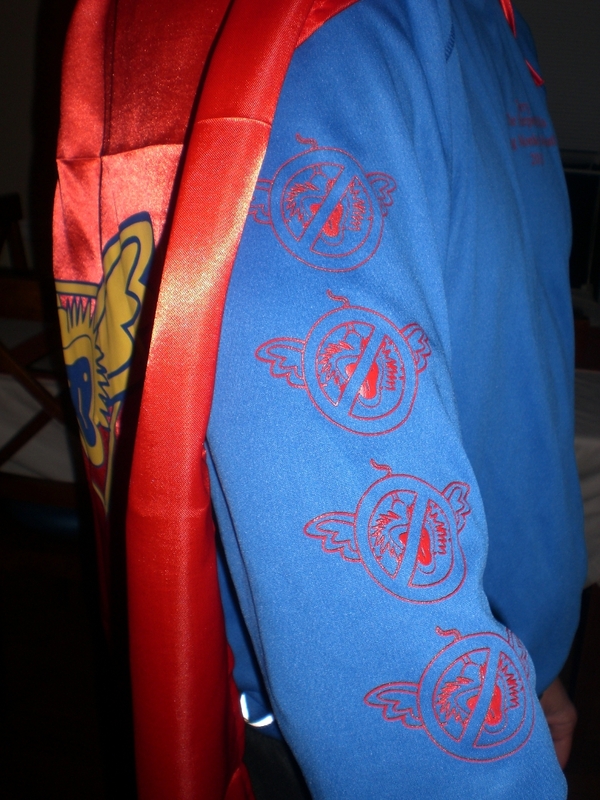 This year, since I had 5 Monkey Kills, I was getting the “V”badge, since there’s just so much room on sleeves. Another awesome thing about The Monkey is that you have a Bib Number For Life (if you can remember it). Mine is 438 and have this thing called, “Beat My Bib”. The premise is that I finish the marathon in under 4hrs 38 minutes. This is easier said than done, because I never know what my training will be for any given Monkey. I’ve done it once, back in 2012. I knew I wasn’t going to try to Beat My Bib because this was really a training run for the Pistol 50k which I was running on January 2nd 2016, about 6 weeks away. At one point, while milling around at the Start line, someone brought around a box of hand warmers. The kind that you can hold in your hand and through the magic of a chemical reaction will stay heated “for up to 8 hours”. I grabbed a pack, I’m not exactly sure why, as I had never used them before, but it was cold despite my gloves. Just before the start of the race, we had group pictures for Run It Fast, Marathon Maniacs (I’m MM#1225), and the Streakers (no, not that kind… that’s a different race) which are the people who have run ALL the Monkeys to date. In the spirit of The Monkey Games (i.e. The Hunger Games) theme, race director extraordinaire, Monkey Trent, was dressed as Seneca from the movies including the fashionable facial hair. Then, The Tenth Annual Monkey Games begun. I ended up running the first half of the marathon with Danny and Sandy Staggs. Amanda, who was at the race, was running with a friend. We took each mile and hill as it came. Danny and Sandy (if you start singing, Grease is the word) knew just about everyone out there on the course. We talked about just about everything. The 3 of us were seasoned runners and shared some of the weird predicaments have found ourselves during races. Fun stuff. I never really paid attention to my pace, I just hit the watch at each mile marker to mark the time. The weather was in the temperature band where it was sometimes too hot for hat/gloves and sometimes too cold for them. I kept taking off and putting back on my gloves as the temperature changed. What I didn’t expect was how AWESOME the hand warmers turned out to be during the race. They weren’t too hot as to keep me too warm and they were kept safe inside my gloves when didn’t have them on. Since I carry a water bottle, when I had my gloves on, I stuck them on the back of my hands for comfort… and it worked! Sometime early in the race, my ankle decided it wasn’t happy. It didn’t hurt but I could tell something wasn’t right. Some how at the water stop at Mile 13, I lost track of the Staggs. When I passed the half way sign, I couldn’t find them. So I focused ahead, back to the race. Food, during any long distance run, is important to manage. Too little and you’ll feel hungry. When you feel hungry, running is more difficult, mentally at first then physically as the energy stores drain. Too much and you’ll feel uncomfortable. This type of running can have negative effects as the body is trying to process the food in the stomach while also trying to run. The wrong type of food, and well, you might see it again from one end or the other. This is one of the reasons for marathon maxim of “No New Foods” a couple of days before and during the race. The food and drink that I carry with me during long distance races usually consists of 4 Accel gels, 1 pack of Clif Blox (Margarita), and a 24oz bottle of sports drink. It’s a reused Gatorade bottle with a wide screw-off lid which makes it easy to refill in the race plus I don’t mind ditching it at the end, if I want to look good for the pictures. For this Monkey, I had my bottle, a pack of Clif Blox, and ziploc bag of apples. I didn’t carry any gels with me and broke the Maxim by trying the Huma gels (made with chia seeds) while out on the course. The Huma gels weren’t too bad. Because of the chia seeds, they had a consistency different from the traditional gels but I eat chia seeds just about every morning so it wasn’t a shock for it to feel different. I don’t recall which flavors I had, but they weren’t bad. I would use them again. The sports drink on the course was SWORD, something else that was brand new to me. I could drink it well enough when I chose it over water at the water stops. Some where around Mile 17, I was starting to get hungry and the Clif Blox that I had with me were not appealing. At the next aid station, I contemplated eating some Krispy Kreme, but decided against the sugary deliciousness of the fried rings of gluten. I ended up grabbing a stack of Pringles, which I don’t think were Gluten-Free, but when I have had small amounts of gluten after races, I haven’t felt any side effects (cloudy thinking, sleepiness) but that might be confounded with the fatigue side effects from the running. Apart from drying out my mouth a little, the Pringles hit the spot. I was satiated, at least for a few miles. So with my mind off of food for a little while, it drifted to where it usually likes to go when it can… to mathematics. By Mile 20, I had figured out that I was in good shape to finish in under 5 hours. I wasn’t running this race for time, but I was beginning to change my mind. If I could keep my average pace under a 12:15 mile pace, then I would finish. However, at Mile 20, the hills are not done. It was at this point that shifted from “training run” mentality to Race Mode. Under 5 hours was now my goal, and the race was now afoot. My ankle which had felt different at the beginning of the race hadn’t gotten better nor worse. Something was up with it, it wasn’t happy but it was complying with running. At Mile 23, I was still in great shape for under 5 hours. I had added some time to “the time bank” and could spend it if needed. 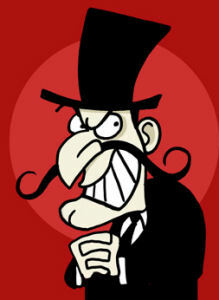 When I’m in Race Mode as it gets closer to the finish, I begin to look at runners ahead of me as prey. Who can pass before the finish line? Sometimes they are runners who started ahead of me but have slowed down for some reason and pose no threat, but the ones I have to watch are the ones that are close to my pace. Those are the hard ones to catch, because even if I can close the gap they may still have plenty of juice to match my kick at the end and stay ahead of me. One runner seemed to be the one to beat and I had about 3 miles to do it. Challenge Accepted. I kept the runner in my sights as we went over the hills and around the curves. I lost some time when I stopped at the last aide station where I filled up my water bottle and stretched my legs. Ankle still an issue, but intact. At Mile 25, the runner that I had been tailing was too far away. I would have had to increase my pace too much to close the gap. However, there were still people ahead of me meandering towards the finish line. The first and last 3/4 of a mile or so is off the road and on a grassy area of Percy Warner Park. You can see the runners who are making the approach to the finish line and if you know what someone is wearing or know their running posture you can identify them. There are two massive evergreens that shield you from being seen as you pass behind them. In a moment of vanity, I stopped behind the first one to stretch my legs one last time to maximize any energy I had left in them before they turned into stone pillars. One of the volunteers that was there was chastising me that I had stopped so close to the Finish Line. Just Keep Moving! I told them that even if had just a little left in my legs, I didn’t want to “look” like I had little left. As I rounded the last tree with roughly 0.15 of a mile until the Finish. You can see the Finishing Chute from there and the Time clock as well. It would be under 5 hours for me today. In my races, I have a mental process of figuring out at what point I can start running at maximum effort and still make the Finish Line. I process through how my body is feeling, add in my fatigue level, and a couple other factors. Then when ready, my mind tells my body “Go For Throttle Up” a NASA Space Shuttle command that I explain in a previous post. I started lengthening my stride as much as I could and felt the increase in speed noticing for the first time that there is a slight downhill slope toward the Finish Line. I also remembering thinking that my ankle didn’t feel bad at all, how interesting. I finished in 177th (out of 321) place with a finishing time of 4:54:30 [Chip Time] for my 6th Monkey Kill. Another wooden Finisher’s medal (wooden) which was a pin style instead of over the neck. 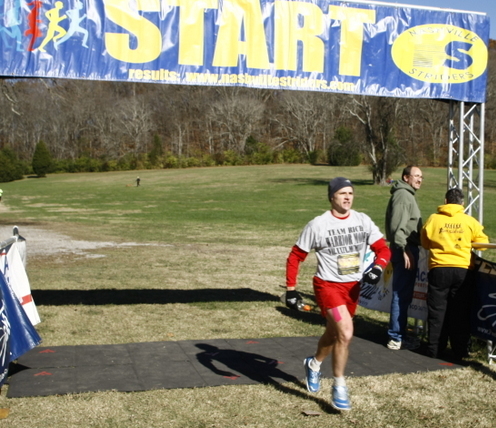 Also Finisher’s receive a customized SiliPint which is handy for the Yazoo Brewing tent located at the Finish Area. 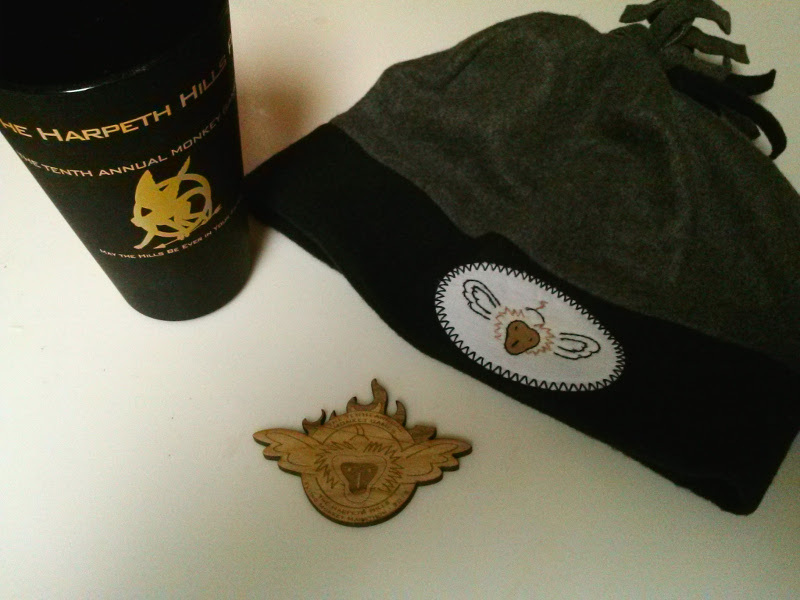 We stayed this year for door prizes which I scored a handmade Flying Monkey hat. Later that day, my ankle became very sore. During the night, I could hardly walk on it without limping. However, my visit with my chiropractor on Monday put it right and haven’t had any problems with it. There’s was no waiting to see what the 2016 theme will be, it will be The Year Of The Monkey! When participating in a Running Race of any length, there are a few “Danger Days”. Days in which certain activities or lack of them can have negative effects to Race Day performance. Today is 2 days away from the Pistol 50k on January 2nd. 2 days away from Race Day is dangerous because there’s volatile mixture of excitement and anxiety. This can lead to making some bad choices, or being unaware of being in an unwanted situation. It can result in unwanted soreness in the legs, which would peak on Race Day. Training wise, running the last few days before a race, you only expose yourself to injury than gain any physical conditioning. However, running the week of race isn’t for the legs or lungs but for the brain. It acts like a sedative with the intent to reduce some of the anxiety and increase confidence. In general, most training programs have something called “The Taper”. It is a deliberate reduction in mileage during the last stage of training. The idea is that it gives the body time to heal and strengthen without compromising conditioning. This way, on Race Day, you’ll be strong in the ways of The Force conditioning. The best countermeasure to Taper Madness, is to run. At 2 Days Out, you can’t “Go for Throttle Up” or “Pass the Milk, I’m eating this hill for breakfast”. It needs to be calm, smooth, relaxed, with just a small touch of speed tossed in for those faster twitch muscles. Today, I’m planning on running a little to easy my nerves. 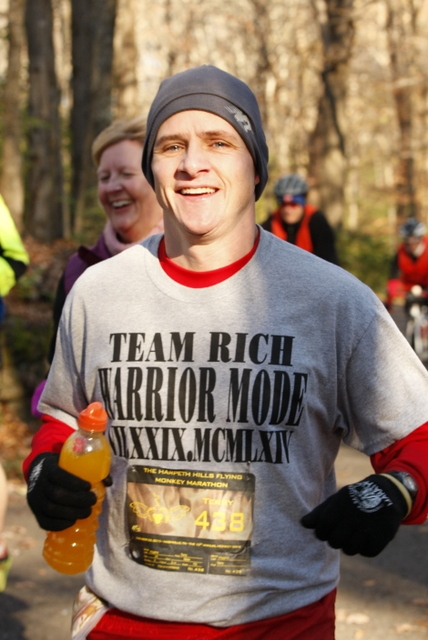 I’m a little scared because I’ve been calmer than I anticipated I would be given the distance (50k/31miles) and the fact that I’m running it memory of James Rich #WarriorMode. Strange things have happened before. This was supposed to be the first part of a series of updates on the my training for the Pistol 50k (31 miles) which I am running on January 2nd 2016 in memory of my late Taekwondo instructor/mentor James Rich. However, some how time marched on (and on and on) and so it is now a single training recap. I had wanted to start training a little earlier than I did, but sometimes life gets away from you. Or rather, it confuses you as it runs away FROM you. (The older you get the faster it seems to move.) Then when you stop to look around, you say “[expletive of choice]! Where did the time go?” That was me. 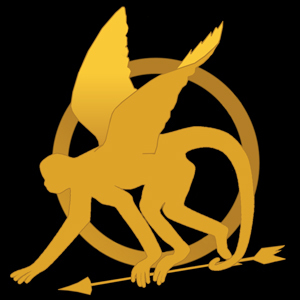 I had wanted to “officially” start training on August 1st in anticipation that I would be representing my District in the blockbuster hit: Flying Monkey Marathon X, May the Hills Be Ever in Your Favor. Each year, the race has a different “theme” and the one for 2015 race was based on The Hunger Games series. The premise is that I would treat the Flying Monkey Marathon on 11/22/2015 as a training run. Ideally, I would run ANOTHER marathon maybe as another training run in early December. The Rocket City Marathon on Dec 12th was a great candidate because it was relatively close (Huntsville, AL) and it is a flat course. So after the undulating hills of the Flying Monkey (Nashville, TN) it would be a nice scenario to attempt a Sub-4hr marathon. However, there was a failure to launch for Rocket City and the elusive Sub-4hr attempt would have to wait. The Flying Monkey marathon is very popular for those runners who like hills that hurt you. For the past couple of years they have used a weighted lottery to choose who be running. Apparently there are enough crazy people who want to run that they have to limit the number. While the actual weighing of criteria is an ancient Chinese secret, it is possible that someone who has run the Monkey multiple times (I had run Flying Monkey 5 times previous) could not get a spot. Fortunately for me, the lottery went in my favor and I was going to The Monkey Games. In mid August, I started to feel sick, but it never lasted more than a day or two and the symptoms changed. There was overwhelming fatigue one time, a super sore throat another, neither of which was accompanied with a fever. Without having a fever or chest congestion, I thought it might be allergies. In early September, almost 2 weeks since my initial symptoms, when I still felt bad with new symptoms, I decided that I would go see the doctor. Turns out, whatever “it” was decided it would turn into pneumonia. I have had pneumonia multiple times, and there are certain warning signs that throw up Red Flags that I am on my way to getting (or already have) pneumonia. However, none of the ailments presented themselves like they were supposed to, so only because they wouldn’t go away did I seek counsel on what was going on. As a result of my diagnosis, I went on antibiotics and took a 9 day hiatus from both running and Taekwondo. Training suspended. By the last few weeks of September, I was healthy again and ready to “restart” my training. At this time, I was already 6 weeks behind on my training for Flying Monkey, but I still had enough time for The Pistol. I decided that I need to take some big leaps in training to try to “catch up” or rather “not be too far behind” in my training. There is a Rule of Thumb in running called “The 10% Rule”. It suggests that you should increase the length of your workouts (overall mileage, long runs, speed workouts, etc.) by 10% from week to week. The premise is that this progression helps the body transition to the rigors of the longer runs (or faster workouts) better without exposing one to injury. It is also one reason a marathon training program lasts 16+ weeks or more. Build the mileage up step by step, mile by mile. With 8 weeks before the Flying Monkey and my longest run of my training a whopping 10 miles, I had to push the limit a little. Disclaimer: As a seasoned runner, I have a good feel for what I can and cannot do when it comes to running. This won’t work for everyone. I started with a 13.5 mile long run at 8 weeks out. This was followed with a 13.3 mile run the following week. Then at 6 weeks out I made the big jump with a 23.4 mile run. Normal training program has a “Recovery Week” after a very long run, so my run at 5 weeks out was supposed to be around 16 miles, but I only ran 2 because I had some problems and I didn’t want to be that far from home. So I took 5 weeks out as basically a Rest Week. 4 weeks out was a 18.6 mile run. However, the next weekend, which was Halloween, I was just too busy for a long run and recorded 0.0 miles for my long run. This trend continued and I didn’t have anymore long runs before race day. I was able to get a handful of 4-5 mile runs in during the week. Also, I was going to Taekwondo class multiple times a week, so it’s not like I was sedentary. On November 22nd, I ran Flying Monkey in just under 5 hours. As I mentioned above, this was a training run, so I wasn’t trying to run for a certain time. I haven’t written the Race Report for Flying Monkey yet, but I’ll go more into details there. The Flying Monkey was 6 weeks out (that Magical Week) from The Pistol. I didn’t come away from Flying Monkey unscathed and my chiropractor put me back on the right path the Monday after. The next weekend I took as a Rest Week (5 weeks out). It was Thanksgiving and we were out of town. I almost decided to run a 10k but decided it would be better to rest than to race. Tough decision to make but never underestimate the power of a rest day. With it now being December, just 1 month left before Race Day, I took another Rest Week. 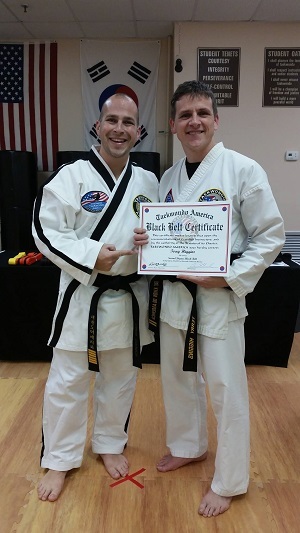 Also at the beginning of December, I tested (and passed) for my Second Degree Black Belt and didn’t want to be distracted from what I needed I to do to earn it. The next weekend, 3 weeks out – Dec 12 (when I had wanted to run another marathon), I ran 24.3 miles. I decided I would run from my house to Eddie’s Health Shoppe (about 8.3 miles away) where I would meet up with the Knoxville Marathon Training Group and run with them (6 miles) and then run home (around 10 miles based on the route). It ended up being kind of fun. I ran a little faster than normal going to the training group as I didn’t want to be late. Then ran closer to my 10k pace because I ran/talked with another running for 3 miles, but then was slower for the last half of the run. Since the pattern of a 20+ mile run followed by a rest week seemed to work fairly well this training cycle, I decided that at the 2 week out point, I take another rest week. So it is 1 week before the Pistol 50k. The rain that we have been having has moved on and I’ll get one more long run (about 12 miles or so) in before Race Day. I’m also going to try to get in 2 mid-week runs of about 4 miles. This helps with the nerves during Race Week when the looming race is only days away and the anxiety of the unknown envelopes me. It’s time now to get into #WarriorMode ! This post was originally laying out, in general, my training regiment that I would use for the Fall Marathon season. That changed with my diagnosis of pneumonia earlier this month. I haven’t ran since 8/13, a week before the first signs of sickness manifested. I haven’t really worked out for 9 days, which was Taekwondo the night before I went to the doctor. Now that I think the pneumonia is almost 100% gone, I am hoping to jump back into my normally scheduled life on the weekend of Sept 12/13 which will be 10 weeks before Flying Monkey. I’ve lost a good chunk of training time, but I will have to be diligent about training. Long Run distances will fluctuate from week to week from 12 – 20 miles. I’ll miss one whole weekend as we will be gone on vacation. I would like to have one long run where I run 20+ miles which I was thinking would be in early October, but I might have to push it back to late October. After Flying Monkey (11/22), I’ll continue the weekly schedule, with maybe one long run of 24+ in preparation for the Pistol 50k (1/2/16). December, of course, is tricky because of all holiday activities and food, especially the food. My nemesis, Pneumonia, decided to pay me a visit last week and throw a monkey wrench into my life. Thankfully, this go around is of the lesser impact type and can be treated with medicine and patience. I knew that it had been a while since pneumonia decided to show it’s ugly face. Using the search feature, I was able to find a few references to when I had it back in December 2010. I have had it a couple of times in the past and even have warning symptoms that throw up red flags. This particular time, there wasn’t the standard order of symptoms, they all seem to be unique and unrelated. My guess, is that I was experiencing several little things, that opened the door for it. However, since these little things kept me feeling ill for over a week, when the pneumonia finally set in, I was already at the doctor’s getting medicine. So, they helped catch it early on. One of the biggest impact of my illness is to my running. Specifically, my training for 2 upcoming races: Flying Monkey Marathon (Nov) and The Pistol 50k (Jan). Training for Flying Monkey was supposed to have started 4 weeks ago in mid-August. Since August 1st, I was in a “base” mode, where I didn’t really worry about workouts/distance, just get some mileage under my belt. With not feeling well, since around August 20th or so, I hadn’t ran hardly anything. In fact, my log book says 0.0. At best, I’ll be able start running again during the weekend, but that’ll be bare-bones type of mileage, with only 10 weeks until race day. Thankfully, this isn’t my first time toeing the line for a marathon. I’m just going to have to be very creative. I won’t have any miracle workout that will get me a personal record or even a course record on Race Day. I’ll get from the Start Line to the Finish Line without killing myself (much). The 2nd race, The Pistol 50k which I am running in memory of James Rich #WarriorMode, is still okay in terms of time to train. The Flying Monkey is one training component for The Pistol, and I am hoping for a good run at Flying Monkey to help bridge the 6-7 week gap between the 2 races. As of writing of this post, I’m finished with the antibiotic protocol but still have an inhaler to keep the lungs open and drive everything out. I’ve also been resting when I can, but still have a few days before I start getting back into moderate exercise. I have tossed in my hat in the weighted lottery for the Flying Monkey Marathon (11/22/15). If for some reason I do not picked in the lottery, my back-up plan is to run Chickamauga Marathon on 11/14/2015. It’s close enough that I can make a day-trip out of it, like back in 2012. Historically, I tend to run November marathons, (Richmond, Chickamauga, Flying Monkey), mostly because of the how the training schedule works out. When I have ran September Marathons (Darlington, Quad Cities), my long runs were in the peak summer heat and were difficult to say the least. For November Marathons, I use around August 1st as the official date, it’s about 16 weeks, give or take. I have found, through trial and error, that a 12 week training schedule works best for me. So I “trick” myself with anything over 12 weeks and call it a “base” period. Since I’m also running The Pistol 50k in January, this means that I have an additional training schedule after my November marathon. I was hoping Rocket City would be a part of the plan, but I can easily make my own marathon event, if need be. There are tons o’ plans out there on the internet. Some are very simple and some complicated. There is no One Plan To Rule Them All. Nor are any of these training plans etched in stone. Each training plan has common key workouts essential to have the proper training for race day, but they are yarned together differently. “Train only 4 days a week” or “No Long Runs over 20 miles” or “It’s all about the Pace”. Your best bet is to ask a running coach on what is best for you. The November marathon will be #25, and I have learned a few about my training schedules along the way. 1) They are not etched in stone. [Very important, second time I’ve mentioned it] There is no way to run every single training session, unless that is your only job and you don’t get injured or sick. 3) Experience helps bridge some gaps in training, but even seasoned veterans can make rash, foolish mistakes. I have the experience to know how to adjust my schedule to account for missed training runs, but I am still susceptible to getting caught up in the energy of Race Day and try to run a PR with laughable training. 4) 16 weeks is too long of a schedule as it is psychologically draining on me. 8 weeks isn’t quite long enough unless I’m just interested in finishing rather than going for a particular time. 12 weeks, as Goldilocks endorses, is “Just Right.” When the 12 week training aligns with a race course that doesn’t look like a heart monitor (of a living person) then I have a shot a sub-4 finish. 5) It is unrealistic for me to fit the mid-week, mid-distance (6-10 miles) run into my schedule. The windows for me to run are few, so I make concessions on the types of runs I use. Most often, I swap the Easier Pace runs with shorter Tempo Runs. 6) Cross train if possible, it helps in my non-existent flexibility and trains the other muscles that running doesn’t use as much. I do Tae Kwon Do, Soccer, some Ultimate Frisbee when I can work it in, and slinging my kids around. 7) Never under estimate the power of a Rest Day. There are days, when you just aren’t going to feel like running. Some of those days, you just push through. Some of those days is your body saying, “Dude, come on… relax, don’t do it.” Rest Days are built into the schedule for a reason, they are a buffer against injury. I haven’t noodled out the training that I will be using this fall. Given that I’m in the “Base” period, I can train “casually”, and have a few more days before I have something set in stone. I mean, set on paper.